Before going to the jewelry store, you might want to find out more about the diamond grading system. As with any purchase, there are features and benefits which can help you get the best product and value for your money. Before you make your next purchase at the local jeweler or online, understanding how the diamond grading system works will help you in your decision to select the best quality diamond for yourself or someone else. When visiting a local jeweler’s store, the jewelry is often placed under strategic lighting – being placed in such a way that, no matter what the grade is, it will always look stunning and can give a false impression of the true grade. A Diamond Grading Report details the particular characteristics of a diamond (Cut, Clarity, Carat, Color). These reports are provided by the Gemological Institute of America (GIA), one of the most well-known institutions in the diamond industry, as well as by others (AGS, EGL, or IGI). Certifications are for stones only (no settings). Certificates only detail the physical properties of the stone and do not include a diamond appraisal. Make sure you request a certification of the diamond (preferably by the Gemological Institute of America (GIA) or American Gem Society Laboratories (AGSL)) before purchasing. The way the diamond is cut also has a dramatic effect on its grading. A well-cut diamond will reflect back a lot of light and will result in a brilliant, sparkly stone. On the other hand, if not cut properly, a diamond can look dark and lifeless. Polish – How smooth the surface is. Dimensions – Height, width, depth, etc. Color – How clear or white it is. Shape and style – These include round, princess, marquise, oval, emerald, heart, pear, and trillion. 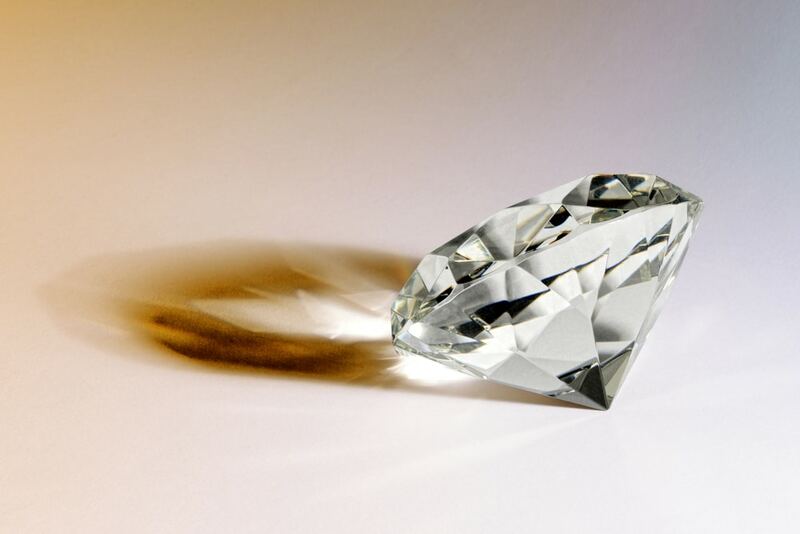 Weight – Listed to the nearest 1/100 of a carat. Being fed up with the current diamond grading systems at the time, gemologists Bert Krashes, Robert Crowningshield, Marquis Person, Joe Phillips, and Richard T. Liddicoat decided that they needed a new one. So they released their own in 1953 for appraising, grading, and evaluating any and all diamonds. The system accounted for make, clarity, and color. The GIA chart up to the 1970s. Next, they added the Internally Flawless notation, since many cutters were intentionally destroying more than half of their stones to achieve the FL grading. The commission also felt the need to add another, lowest of the low grade, known as I3. Lastly, they changed the imperfect name for included, for the sake of consistency. The final version of the GIA Diamond Grading Chart. You’re probably wondering: what do all these grades mean? Well, to help you a little with that, we’re going to explain each and every one. Included has three grades: I1, I2, and I3. Naturally, I3 is the lowest grade that a cut diamond can be given. An I3 diamond has so many inclusions that its shape is basically unstable. I3 diamonds can also present cracks across the whole surface. The I1 and the I2 both also have inclusions that can be seen with the naked eye. Slightly included contains two grades: SI1 and SI2. These two can also be seen with the naked eye, but just barely. A trained grader should have no problem spotting them when he/she uses a viewer under a magnification of 10x. Very Slightly Included has another two grades: VS1 and VS2. Mostly, the inclusions in these gems are invisible in most situations. However, when a diamond is cut in the emerald shape, VS2 inclusion can be observed with the naked eye on its table, but only slightly. Trained gemologists can somewhat easily see VS inclusions under 10x magnification. Very Very Slightly Included has two grades as well: VVS1 and VVS2. The inclusions on these diamonds are extremely difficult to spot even by trained graders with a magnification of 10x. Typically, pinpoints, needles, and high magnification are used to spot these inclusions. Internally Flawless is one of the categories introduced in the 70s to help cutters get closer to the highest grade. It has only one grade: IF. To achieve this grade, a diamond must be completely devoid of any inclusions. Only minor blemishes are permitted on the surface of the diamond. Flawless diamonds are, naturally, the best diamonds. They must contain no blemishes and no inclusions. These are very rare and usually extremely expensive. How Does the GIA Apply Its Diamond Grading Scale? There’s a very specific technique involved when it comes to grading a diamond. If the following conditions aren’t met, a diamond cannot be correctly graded. The equipment used for grading a diamond consists of one or more binocular stereo microscopes. These devices must be able to zoom in at least 10x magnification and must have darkfield illumination. 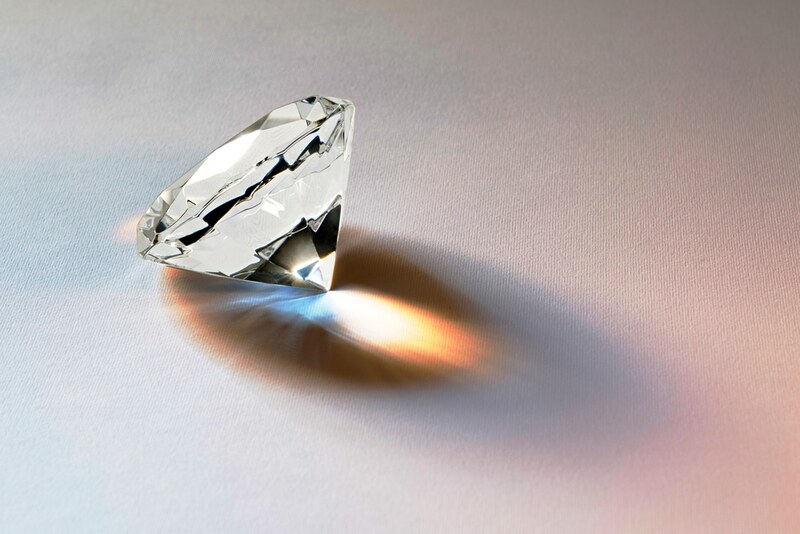 In order to correctly grade a diamond, the light in the room must be UV filtered. Still, not all diamond grading processes take place in a laboratory where ultraviolet light can be filtered. Traveling diamond graders (who take part in auctions and diamond trades) use a handheld loupe that can magnify to 10%, the type which one can often see in movies. In order to achieve some sort of UV light filtering, the grader uses a small light source. This light needs to be precisely placed so that the crown is not illuminated and the pavilion is. Cleaning the diamond. 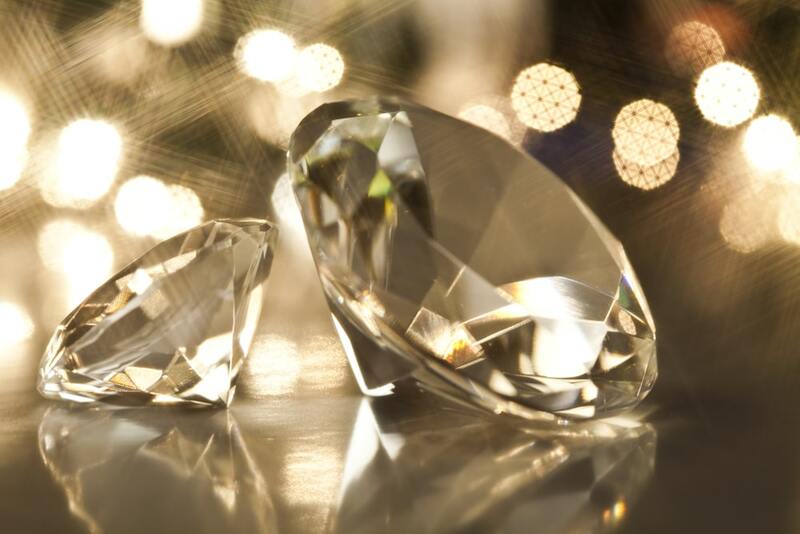 Correct grading cannot be performed unless the diamond has been thoroughly cleaned. Picking up the diamond part 1. The first way in which the grader picks up the diamond is with a pair of tweezers from the sides of the girdle. Looking at the diamond part 1. After picking up the diamond in a girdle-to-girdle position, the grader studies the area of the culet to look for inclusions. Picking up the diamond part 2. The next way in which the grader picks up the diamond is by the table and the culet. Looking at the diamond part 2. Now the grader can study the pavilion and the crown to look for imperfections and inclusions. Using darkfield lighting. When the grader spots an inclusion, he/she uses darkfield lighting to see if the inclusion is only on the surface of the diamond, or if it’s a larger inclusion. Giving a general clarity grade. Before deciding which of the above diamond grading system grade is given, a gemologist must first give a clarity grade. This can be obvious, noticeable, minor, minute, or none. These correspond to I, SI, VS, VVS, and flawless or internally flawless. Giving a grade. From the 5 categories, the grader then decides which grade best fits the particular diamond by looking at other previously graded diamonds of the same category. Apart from the diamond grading chart of the Gemological Institute of America, there are several other international conventions as to how diamonds should be graded. Depending on which diamond grading chart a particular jewel merchant uses, the grades of the diamonds can vary wildly. So, too, do the prices. There are a total of 4 different major diamond grading systems apart from the GIA one. The CIBJO diamond grading scale. The acronym stands for a very long name in French basically meaning the international agency for diamonds, jewels, silvers, stones and pearls. The interesting thing about this diamond grading scale is that it has two versions: for diamonds below 0.45 carats, and for diamonds over that weight. American Gem Society. Instead of complicated letter grades, the AGS used basic grades from 0 to 10. Strangely enough, the best diamond (flawless) is graded as a 0 in their diamond grading chart. International Diamond Council. This one is closely related to the CIBJO diamond grade chart. Unlike most grading systems which use a binocular stereo microscope to grade their diamonds, this one uses an achromatic and aplanatic 10x loupe. European Gemological Laboratory. There’s not much variation within this one. The only thing that definitely stands out is the addition of and SI3 in between SI2 and I1. Each grading institution has different ways of determining the overall quality and rarity of the stone. This will, in turn, be used by an appraiser to determine the dollar value which can be used for the actual cash value, an insurance replacement, a probate appraisal for estate taxes, or provenance (if someone famous used it or was used in a special way). Some diamond graders can even trace how much the diamond’s been worn and if has been damaged over time. This is a very useful skill, especially if some of you want to buy second-hand diamonds. This concludes our guide to the diamond grading system. We hope it has been of used and that when you will go searching for a beautiful engagement ring, you have at least some approximate knowledge of how the diamond is graded.